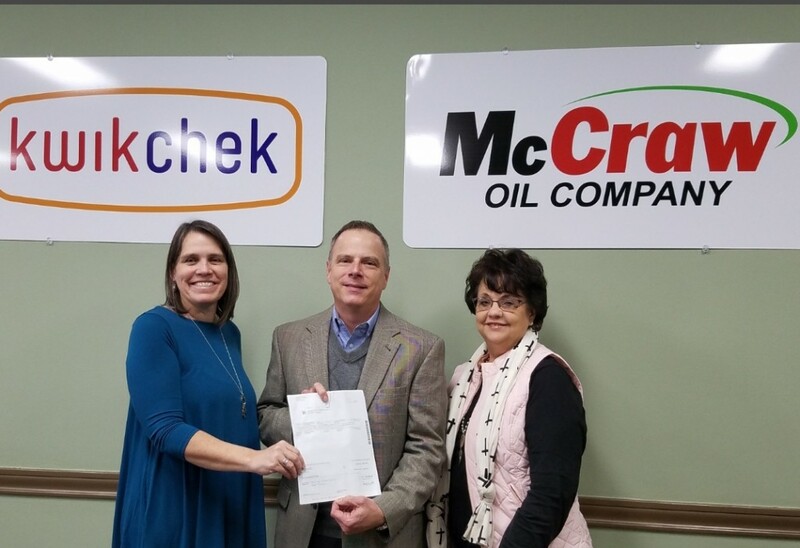 McCraw Oil President Bill Wilson (center) presents a check for $2,000 from ExxonMobil for the Children’s Center to Board President Brenda Magness (right) and Executive Director Sandy Barber (left). “We are honored to benefit from ExxonMobil’s generosity again this year,” said Barber. “This gift will provide counseling, advocacy, forensic interviews and many other support services to help children recover from the trauma of abuse and neglect.” The Children’s Center’s programs include CASA, Children’s Advocacy Center and child abuse prevention programs.